Juan Thomson sentenced to 5 years in prison after he pleads guilty to threatening dozens of Jewish institutions and cyber stalking. Former journalist Juan Thomson, who admitted to cyber stalking an ex-girlfriend and terrorizing Jewish groups with bomb threats, has been sentenced in New York to five years in prison, NBC reported. A Manhattan federal court sentenced Thomson on Wednesday, calling Thomson’s crimes “domestic terrorism.” He was charged with one count of cyber stalking, which carries a maximum sentence of five years in prison. Thomson's actual sentence is a year longer than federal sentencing guidelines recommend and the court explained it by citing the eloquence of the victim statement of Thomson’s former girlfriend, Francesca Rossi. According to Rossi, Thomson began abusing her during their relationship, and intensified the abuse via social media and electronic communications after they broke up. 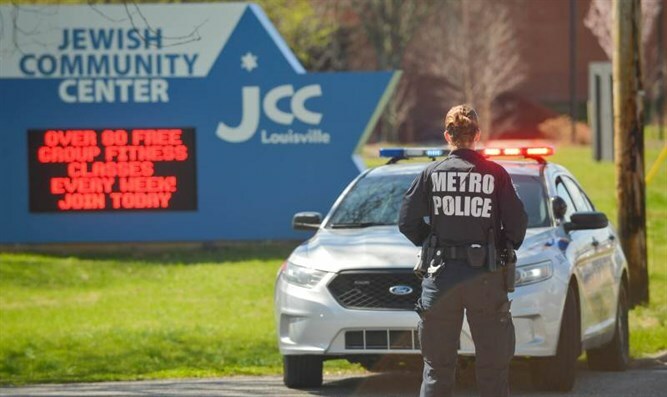 Earlier this year, the Federal Bureau of Investigation arrested Thomson in St Louis, Missouri, on suspicions of making bomb threats to Jewish community centers and schools around the United States. The Justice Department said Thompson, 31, was thought to be behind at least eight threats against Jewish schools, community centers and other institutions. The agency said the threats were made as part of Thompson's efforts to harass a former girlfriend. "Today, we have charged Juan Thompson with allegedly stalking a former romantic interest by, among other things, making bomb threats in her name to Jewish Community Centers and to the Anti-Defamation League," New York-based Attorney Preet Bharara said in a statement at the time quoted by AFP. "Threats of violence targeting people and places based on religion or race-- whatever the motivation -- are unacceptable, un-American and criminal," added Bharara. Thompson made some threats in his own name, but these were ploys so he could allege that his former girlfriend was trying to frame him for the crime.